Genesis Business Metrics breaks your financial data out of its silo and drives insight into your business. 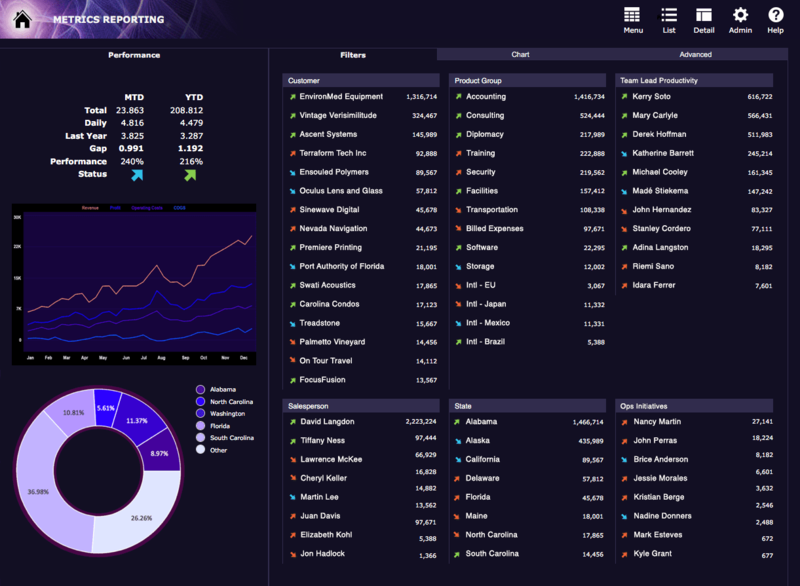 Make more informed decisions faster through a real-time view of your performance with Genesis Business Metrics. Whether seamlessly integrated with Genesis Accounting as part of Genesis Financial Suite, or used with data from any accounting or FileMaker system, Genesis Business Metrics gives you access to business intelligence tools such as multilevel financial statements, budgets and comparisons, dashboards, and projections. You can use Genesis Business Metrics as a business decision support tool, a budgeting and scenario tool, and as a financial literacy tool. If you integrate Genesis Business Metrics with Genesis Accounting, you have direct connection to current, live accounting data and complete drill-down access to underlying details, with no need to import data. As a business decision tool, Genesis Business Metrics allows you to slice and dice your financial data in a variety of ways to get the most detailed and accurate picture of your financial well-being. View business performance over time. Explore the dependencies between the Balance Sheet, Income Statement, and Cash Flow Statement. With a deep and comprehensive scoreboard, view three bottom lines: Profit, Cash, and Return on Assets. View trend data by impact, historical contribution, near-term projections, and segment in a visual dashboard meant to drive decision-making. Plot key performance indicators for revenue cash, profit, assets, COGS, operating expenses. 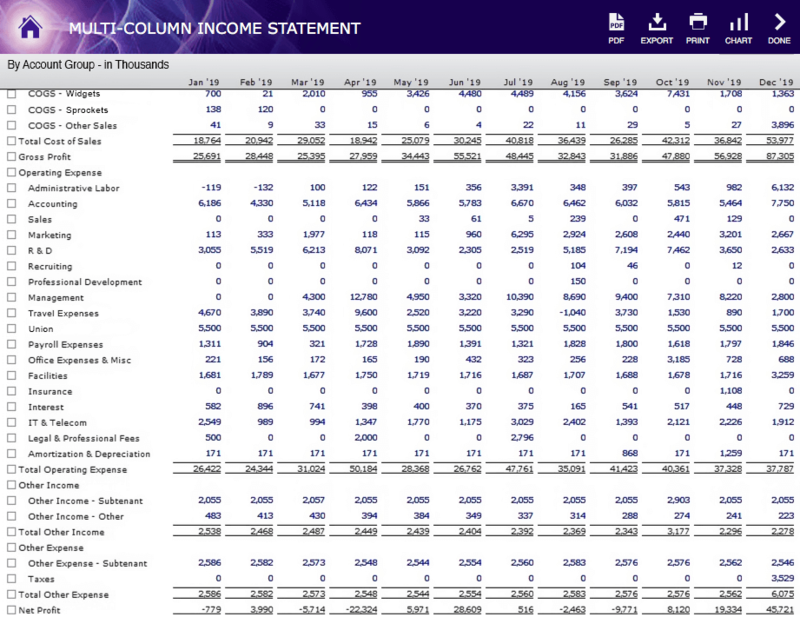 Work with multi-column and multi-level Income Statements, and summarize by segments in any order. View Balance Sheets by account groups, or drill down to the account level. Compare actuals across months, quarters, and years. Import budgets from Excel, track multiple scenarios (best case, likely case, etc.) and compare actuals, budgets, and scenarios. View by company, department, profit center, and more. Our team can integrate your custom FileMaker apps with Genesis Business Metrics to drive decision-making from any data source. Break your team out of loose collections of spreadsheets and bring key performance indicators to the foreground. 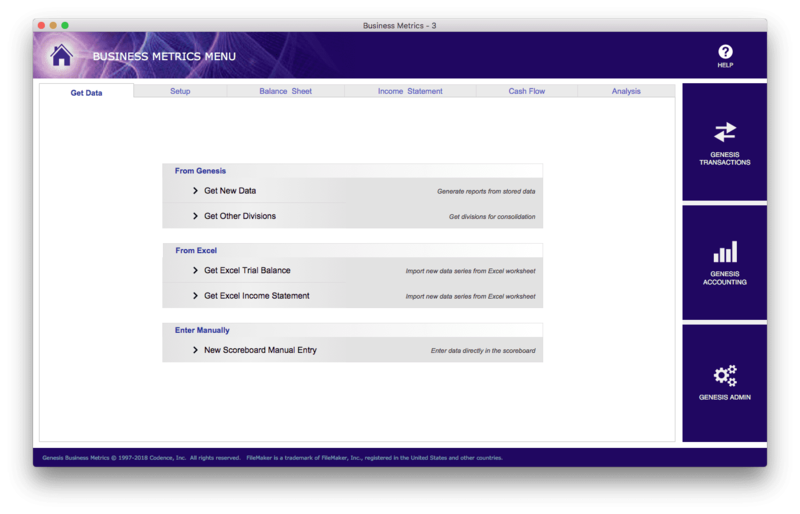 Our expert FileMaker developers designed Genesis Business Metrics to work with many different kinds of data: revenues, profits, productivity numbers, inventory counts. Use its powerful reporting capabilities to take your apps to the next level. Build apps for Windows, Mac, Mobile, and Web. Host in the Cloud or on your own server. Codence has been helping clients work with FileMaker for decades. We’re a Platinum member of the FileMaker Business Alliance and can help ensure that your FileMaker solutions are solid, practical, and well-supported. Promote financial literacy in your organization, speak the language of business owners and shareholders, and manage your business with its key performance indicators. 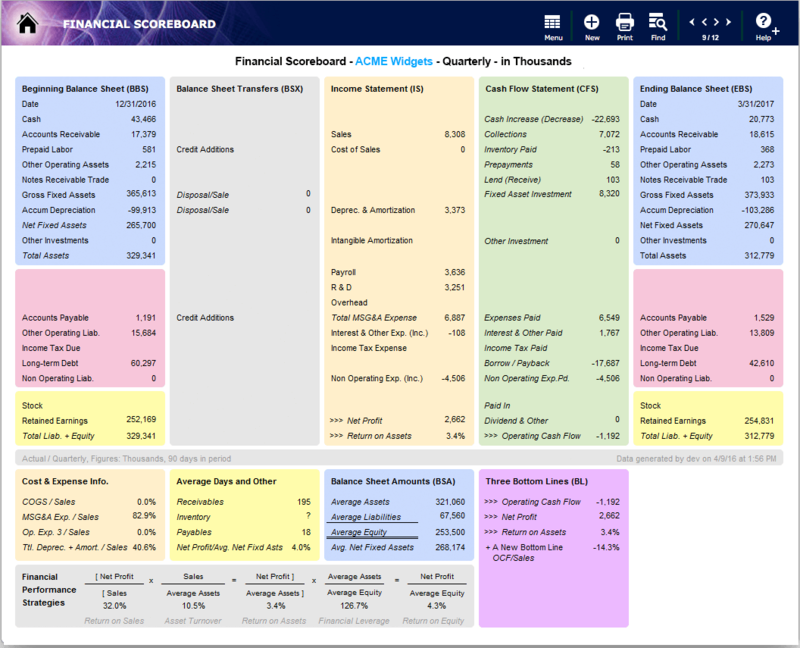 Use deep reports with drill-down capabilities, review financial scoreboards at a glance, see dependencies and outlier data, spot problems in real-time. Assess performance across your entire organization or slice-and-dice by department, product line, division, teams, and individuals. Look for impact and future projections. Run comparative summarized statements, study data in months, quarters, years. Look at revenue, net profit, cash flow, and assets; track COGS/sales, operative expense, asset turnover, return on equity. Scrutinize your business from three bottom-lines. See the connections between assets and liabilities, revenues and cost. Create and compare as many scenarios as you need. Import budgets from excel, see comparisons to actual performance. Plan ahead. Tie Genesis Business Metrics to Genesis Accounting or any accounting software. Codence can build loose or tightly coupled systems with current security and performance standards. Speak to one of our expert consultants about Genesis Business Metrics today. During this free consultation, we’ll address your questions, learn more about your business, and make some immediate recommendations.